On Streams and Incentives: A Synthesis of Individual and Collective Crowd Motion. Juliane Adrian, Martyn Amos, Mitra Baratchi, Mira Beermann, Nikolai Bode, Maik Boltes, Alessandro Corbetta, Guillaume Dezecache, John Drury, Zhijian Fu, Roland Geraerts, Steve Gwynne, Gesine Hofinger, Aoife Hunt, Tinus Kanters, Angelika Kneidl, Krisztina Konya, Gerta Köster, Mira Küpper, Georgios Michalareas, Fergus Neville, Evangelos Ntontis, Stephen Reicher, Enrico Ronchi, Andreas Schadschneider, Armin Seyfried, Alastair Shipman, Anna Sieben, Michael Spearpoint, Gavin Brent Sullivan, Anne Templeton, Federico Toschi, Natalie van der Wal, Frank van Schadewijk, Cornelia von Krüuchten, Nanda Wijermans, Zeynep Yücel, Francesco Zanlungo, Iker Zuriguel. 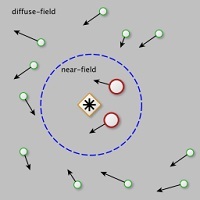 A Glossary for Research on Human Crowd Dynamics. In Collective Dynamics, 4, A19:1-13, 2019. Wolfgang Hürst and Roland Geraerts. 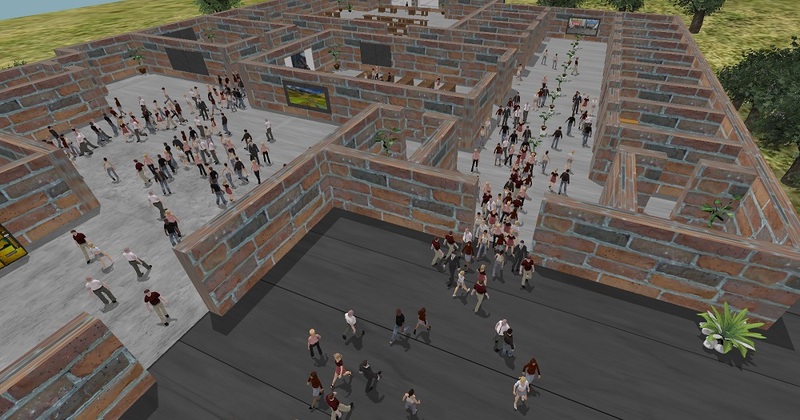 Augmented and Virtual Reality Interfaces for Crowd Simulation Software - A Position Statement for Research on Use-Case-Dependent Interaction. Appears in IEEE VR 2019, 23-27 March 2019 (Osaka, Japan). Arne Hillebrand, Han Hoogeveen and Roland Geraerts. Comparing different metrics quantifying pedestrian safety. Will appear in Pedestrian and Evacuation Dynamics, 21-24 August 2018 (Lund, Sweden). Jordi L. Vermeulen, Arne Hillebrand and Roland Geraerts. 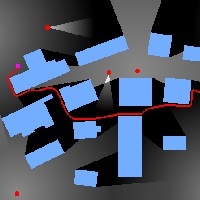 Annotating traversable gaps in walkable environments. In International Conference on Robotics and Automation, pp. 3045-3052, 2018, (Brisbane, Autralia). Roland Geraerts. 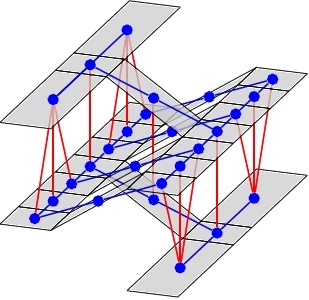 Crowds deciphered: simulation and control of the mass. 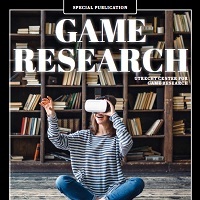 Game research magazine, Utrecht University, pp. 16-19, September 2017. Wouter G. van Toll. 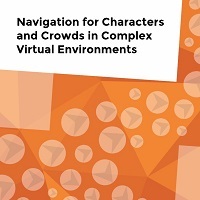 Navigation for Characters and Crowds in Complex Virtual Environments. PhD Thesis. Utrecht University. 30 March 2017. Jordi Vermeulen, Arne Hillebrand and Roland Geraerts. 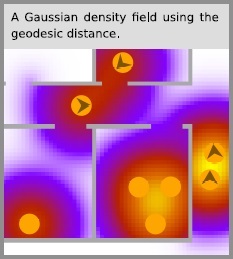 A Comparative Study of k-Nearest Neighbour Techniques in Crowd Simulation. Computer Animation and Virtual Worlds, Volume 28, Issue 3-4, 2017. Wouter van Toll, Roy Triesscheijn, Marcelo Kallmann, Ramon Oliva, Nuria Pelechano, Julien Pettré and Roland Geraerts. A Comparative Study of Navigation Meshes. In 9th International ACM SIGGRAPH Conference on Motion in Games, pp. 91-100, 2016 (San Francisco, USA). Arne Hillebrand, Marjan van den Akker, Roland Geraerts and Han Hoogeveen. 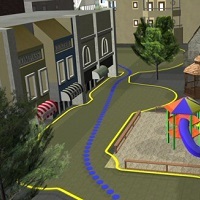 Performing Multicut on Walkable Environments: Obtaining a Minimally Connected Multi-Layered Environment from a Walkable Environment. In 10th Annual International Conference on Combinatorial Optimization and Applications (COCOA), LNCS 10043, pp. 311-325, 2016. Arne Hillebrand, Marjan van den Akker, Roland Geraerts and Han Hoogeveen. Separating a Walkable Environment into Layers. In 9th International ACM SIGGRAPH Conference on Motion in Games, pp. 101-106, 2016 (San Francisco, USA). Angelos Kremyzas, Norman S. Jaklin and Roland Geraerts. 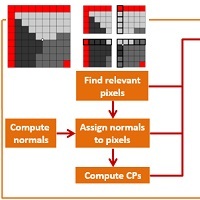 Towards Social Behavior in Virtual-Agent Navigation. Science China - Information Sciences, 59:112102 (pp 1-17), 2016. Norman S. Jaklin. 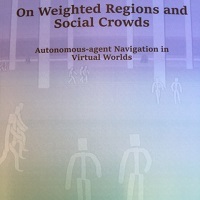 On Weighted Regions and Social Crowds: Autonomous-agent Navigation in Virtual Worlds. 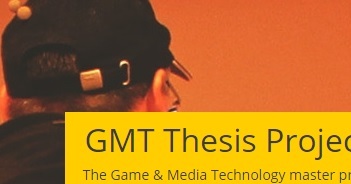 Ph.D. Thesis. Utrecht University. 18 April 2016. Norman S. Jaklin, Angelos Kremyzas and Roland Geraerts. 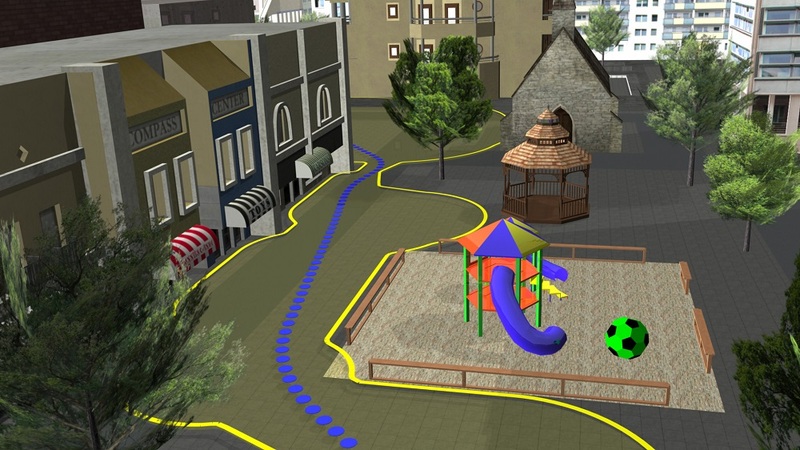 Adding Sociality to Virtual Pedestrian Groups. In Proceedings of the 21th ACM Symposium on Virtual Reality Software and Technology (VRST 2015), pp. 163-172, 2015. Wouter van Toll and Roland Geraerts. Dynamically Pruned A* for Re-planning in Navigation Meshes. In IEEE/RSJ International Conference on Intelligent Robots and Systems (IROS) (Hamburg, Germany), pp. 2051-2057, 2015. Arthur van Goethem, Norman S. Jaklin, Atlas F. Cook IV, Roland Geraerts. On Streams and Incentives: A Synthesis of Individual and Collective Crowd Motion. In Computer Animation and Social Agents, 2015. Norman S. Jaklin and Roland Geraerts. Navigating Through Virtual Worlds: From Single Characters to Large Crowds. Handbook of Research on Gaming Trends in P-12 Education, IGI Global, pp. 536-565, 2015. Norman S. Jaklin, Mark Tibboel and Roland Geraerts. 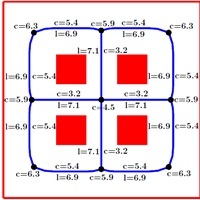 Computing High-Quality Paths in Weighted Regions. In ACM SigGraph Conference on Motion in Games (MIG 2014), pp. 77-86, 2014. Rudi Bonfiglioli, Wouter G. van Toll and Roland Geraerts. 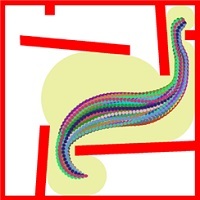 GPGPU-Accelerated Construction of High-Resolution Generalized Voronoi Diagrams and Navigation Meshes. In ACM SigGraph Conference on Motion in Games (MIG 2014), pp. 25-30, 2014. Norman S. Jaklin, Wouter G. van Toll and Roland Geraerts. 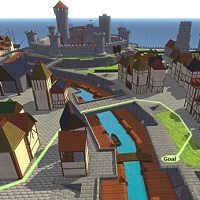 Way to go - A framework for multi-level planning in games. In 3rd International Planning in Games Workshop (ICAPS'13 | PG2013), pp 11-14, 2013. Norman S. Jaklin, Atlas F. Cook IV and Roland Geraerts. 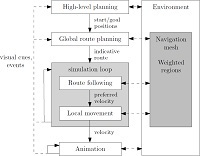 Real-Time Path Planning in Heterogeneous Environments. 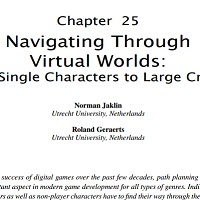 Computer Animation and Virtual Worlds (CAVW), 24(3):285-295, 2013. Jordi Janer, Roland Geraerts, Wouter G. van Toll and Jordi Bonada. 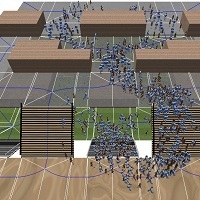 Talking soundscapes: Automatizing voice transformations for crowd simulation. In Proceedings AES 49th Conference Audio for Games (AES49), London, 2013. Wouter G. van Toll, Atlas F. Cook IV and Roland Geraerts. 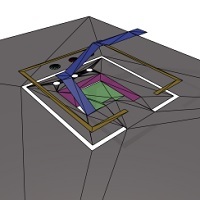 A Navigation Mesh for Dynamic Environments. 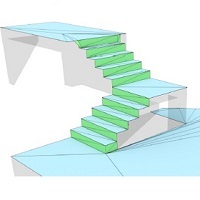 Computer Animation and Virtual Worlds (CAVW), 23(6):535-546, 2012. Ioannis Karamouzas, Roland Geraerts and A. Frank van der Stappen. Space-time Group Motion Planning. In Workshop on the Algorithmic Foundations of Robotics (WAFR2012), Algorithmic Foundations of Robotics X, Springer Tracts on Advanced Robotics Vol 86, pp. 227-243, 2013. Marjan van den Akker, Roland Geraerts, Han Hoogeveen and Corien Prins. Path Planning for Groups using Column Generation. In Motion in Games (MIG'10), Springer Lecture Notes in Computer Science (LNCS) 6459, pp. 94-105, 2010. Marjan van den Akker, Roland Geraerts, Han Hoogeveen and Corien Prins Path Planning in Games. In 10th Workshop on Models and Algorithms for Planning and Scheduling Problems (MAPSP'11), 2011. Current applications require a path planner that is fast (to ensure real-time interaction with the environment) and flexible (to avoid local hazards). In addition, paths need to be natural, i.e. smooth and short. Our framework, the Corridor Map Method, meets these requirements. 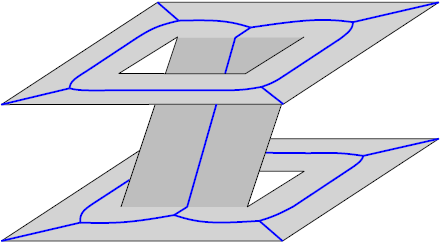 A smooth, short path with clearance inside an Explicit Corridor. Roland Geraerts. Planning Short Paths with Clearance using Explicit Corridors. In IEEE International Conference on Robotics and Automation (ICRA'10), pp. 1997-2004, 2010. José Manuel Cabello, José María Franco, Antonio Collado, Jordi Janer, Samuel Cruz-Lara, David Oyarzun, Albert Armisen, and Roland Geraerts. Standards in Virtual Worlds Virtual Travel Use Case Metaverse1 Project. Virtual Worlds Research (JVWResearch) - MPEG-V and Other Virtual Worlds Standards, 4(3):1-29, 2011. Roland Geraerts and Erik Schager. 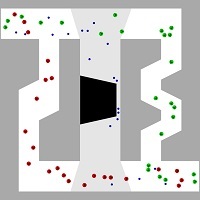 Stealth-Based Path Planning using Corridor Maps. 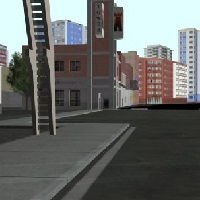 In Computer Animation and Social Agents (CASA'10), 2010. Ioannis Karamouzas, Roland Geraerts and Mark Overmars. 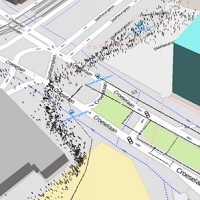 Indicative Routes for Path Planning and Crowd Simulation. In The Fourth International Conference on the Foundations of Digital Games (FDG'09) , pp. 113-120, 2009. Roland Geraerts and Mark H. Overmars. 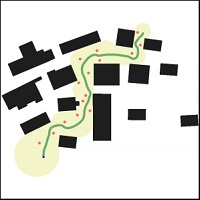 The Corridor Map Method: A General Framework for Real-Time High-Quality Path Planning. 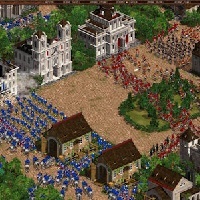 Computer Animation and Virtual Worlds (CAVW), 18:107-119, 2007. Roland Geraerts and Mark H. Overmars. 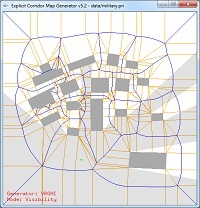 Enhancing Corridor Maps for Real-Time Path Planning. in Virtual Environments. In Computer Animation and Social Agents (CASA'08), pp. 64-71, 2008. Mark H. Overmars, Ioannis Karamouzas and Roland Geraerts. Flexible Path Planning Using Corridor Maps. 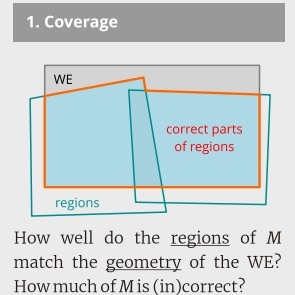 D. Halperin, K. Mehlhorn (Eds): Algorithms - (ESA) 2008, Springer Lecture Notes in Computer Science (LNCS) 5193, pp. 1-12, 2008. Roland Geraerts, Arno Kamphuis, Ioannis Karamouzas and Mark H. Overmars. 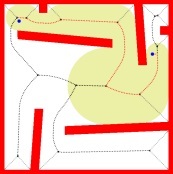 Using the Corridor Map Method for Path Planning for a Large Number of Characters. In Motion in Games (MIG'08), Springer Lecture Notes in Computer Science (LNCS) 5277, pp. 11-22, 2008. Roland Geraerts and Mark H. Overmars. The Corridor Map Method: Real-Time High-Quality Path Planning. In IEEE International Conference on Robotics and Automation (ICRA'07), pp. 1023-1028, 2007. Roland Geraerts. 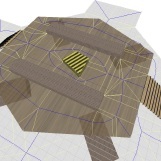 Camera Planning in Virtual Environments using the Corridor Map Method. In The Second International Workshop on Motion in Games (MIG'09), Springer Lecture Notes in Computer Science (LNCS) 5884, pp. 194-209, 2009. Arne Hillebrand, Han Hoogeveen and Roland Geraerts. Measuring pedestrian safety. Poster in ICT.OPEN 2018, ASCI track (Amersfoort, The Netherlands). Wouter van Toll, Roy Triesscheijn, Marcelo Kallmann, Ramon Oliva, Nuria Pelechano, Julien Pettré and Roland Geraerts. A Comparative Study of Navigation Meshes. Presentation and poster in ICT.OPEN 2018, ASCI track (Amersfoort, The Netherlands). This poster has received the ICT.OPEN 2018 Best poster award (3rd prize). Wouter van Toll and Roland Geraerts. 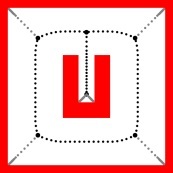 DPA*: Dynamically Pruned A* for Re-planning in Navigation Meshes. In ICT.OPEN 2016, ASCI track (Amersfoort, The Netherlands). This work received the Best Poster Award of the ASCI track. In addition, it received the Poster Award 3rd Prize of ICT.OPEN 2016. Roland Geraerts, Angelos Kremyzas, Mihai Polak, Wouter G. van Toll. 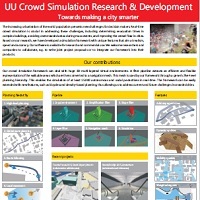 UU Crowd Simulation Research and Development: Towards making a city smarter. In ICT.OPEN 2016 (ICT.OPEN 2016), 2016. This demo has won the "Meet the demo" award ICT.OPEN 2016. Norman S. Jaklin, Mark Tibboel and Roland Geraerts. 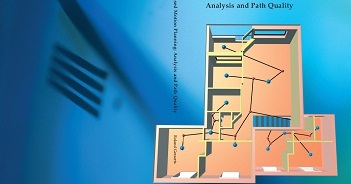 Path-cost Analysis and Real-Time Path Computation in Weighted Regions. In ICT.OPEN 2015 (ICT.OPEN 2015). Wouter G. van Toll, Norman S. Jaklin and Roland Geraerts. 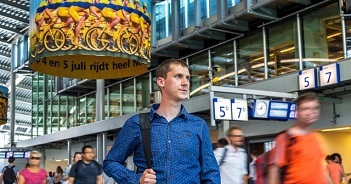 Towards Believable Crowds: A Generic Multi-Level Framework for Agent Navigation. In ICT.OPEN 2015 (ICT.OPEN 2015). This paper has received the best presentation award as well as the best poster award ASCI 2015. Our ICT.OPEN 'meet the demo' presentation has received an honorable mention (top 3 out of 40 demo's) by NWO. Wouter G. van Toll, Atlas F. Cook IV and Roland Geraerts. Game-Changing: Fast Dynamic Updates in a Flexible Navigation Mesh. ICT.OPEN 2013 (ICT.OPEN 2013). Norman S. Jaklin, Atlas F. Cook IV and Roland Geraerts. Stay off the lawn! 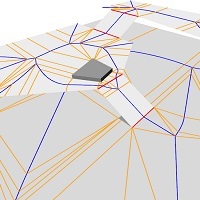 Creating smooth paths based on region preferences. ICT.OPEN 2013 (ICT.OPEN 2013). My papers on motion planning can be found here.